This is my first time to the USTA Championship, but for the Bunten Road Park guys, it’s becoming an annual event. 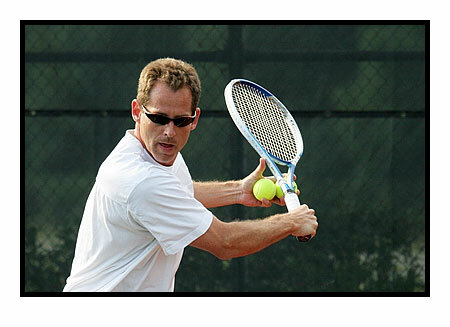 I joined the Bunten Road Park team this season and now we’re into the USTA State Championship.Â Thanks to Mike Hammond (Captain) for letting me be part of this 2005/2006 USTA 3.5 Men’s Team. The USTA State Championship Bid is at Augusta, GA on May 19, 2006. It was quite an experience. Five matches in 3 days, Friday through Sunday. Then semifinals on Monday morning where our bid for State Champions stopped by a Legacy Park team that eventually won it all. It was fun with a bun of great guys. To see about 200 pictures, <click here>. Sorry, I couldnâ€™t cover everyoneâ€™s matches. Only those that I had access to were photographed. And, of course, I played a few too!